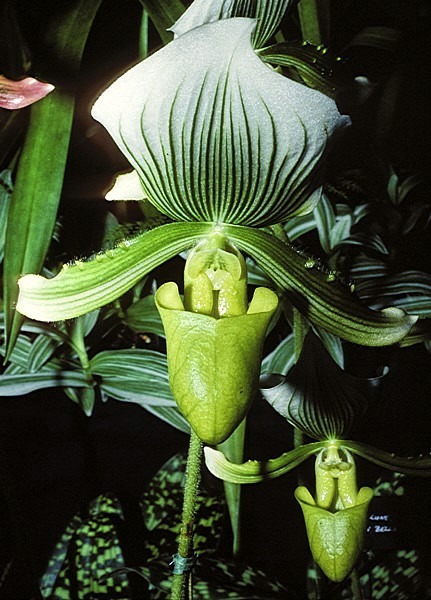 The Orchidaceae is the largest Family in the Division Magnoliophyta (flowering plants), with about 28,000 described species of mainly perennial herbs and a few vines, widely distributed in temperate and tropical regions. 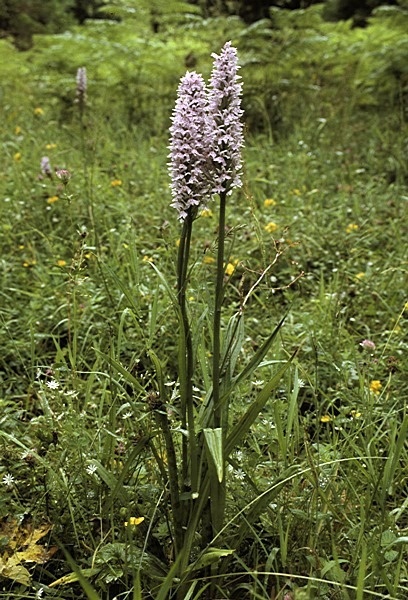 Many orchids have fleshy succulent pseudobulbs and leaves which enable them to withstand periodic dry periods. 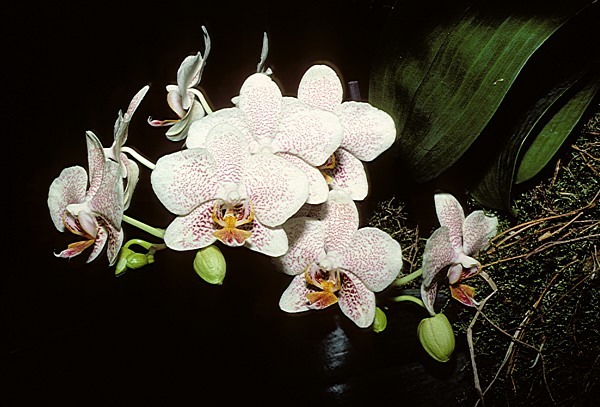 Orchid roots rely on infection with symbiotic mycorrhizal fungi for uptake of nutrients. The presence of the appropriate mycorrhizal fungus is essential for the natural germination of the microscopically small seeds, most of which lack food reserves (endosperm). 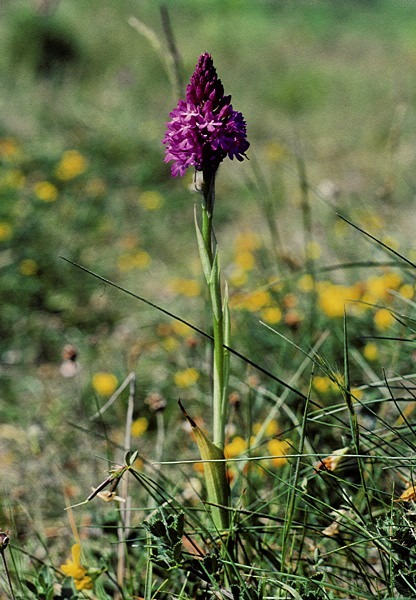 All species of Orchidaceae are protected under CITES. They are propagated in great numbers through the horticultural trade and seem to be on sale in every supermarket. 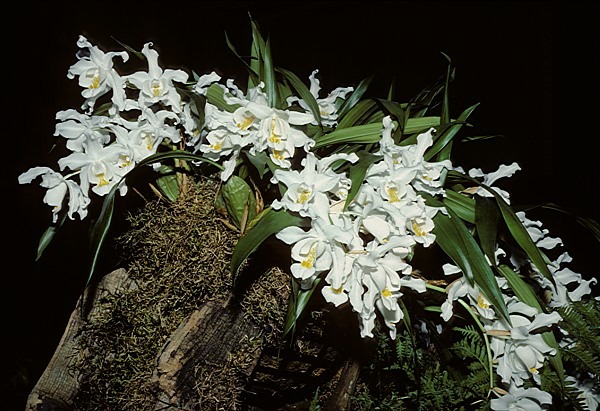 Numerous hybrids and cultivars (>100,000) have been created exceeding the number of natural species. 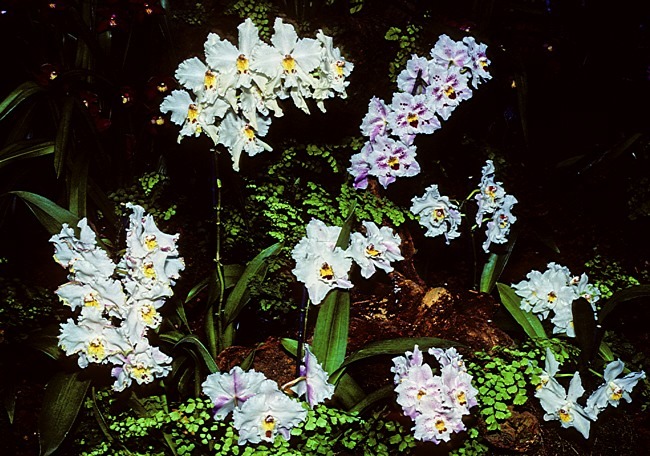 Because of their natural pan-global distribution, orchids can be grown that are suited for the hot-house, cool greenhouse and for use as temperate garden plants. 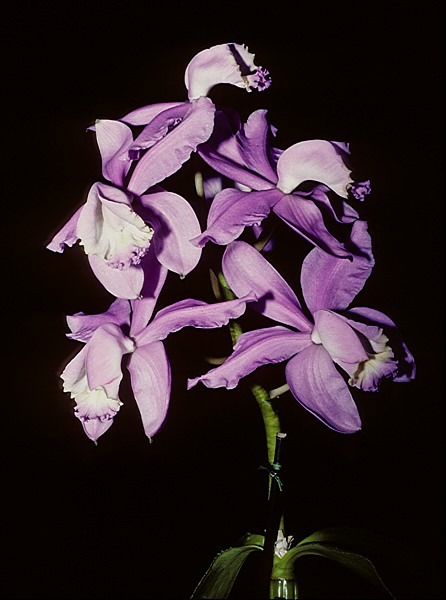 Many orchid flowers are wonderfully fragrant and of interest to perfume manufacturers. 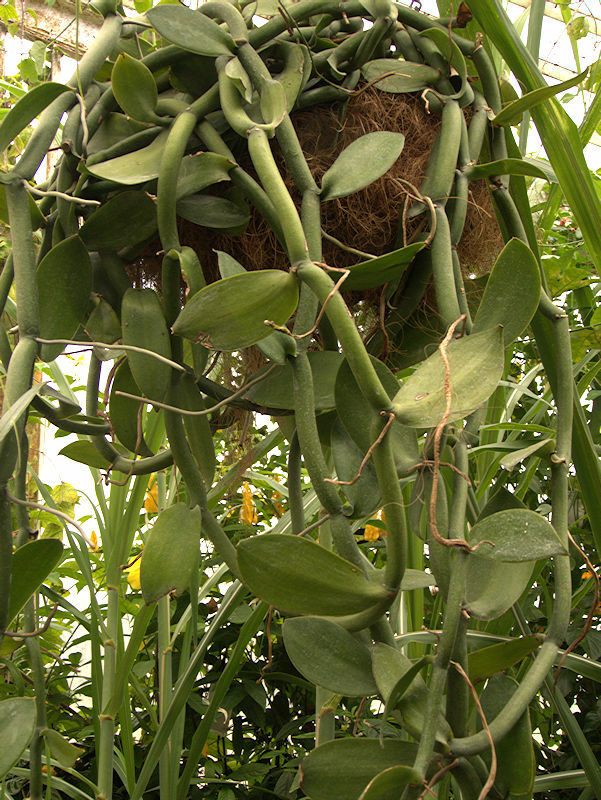 The seed pods of Vanilla planifolia and other species from the genus Vanilla are the natural source of vanillin, used as a food flavouring in e.g. ice cream and often thought to have a superior flavour to products made with synthetic vanillin. Vanilla was cultivated by the Aztecs who used it as a flavoring for chocolate. Vanillin was popularised in Europe by the English Queen Elizabeth I (1533-1603) as a flavouring for marzipan, that has been flavoured with vanillin ever since. 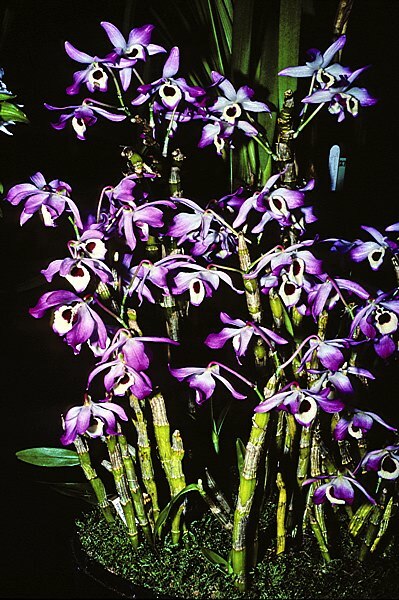 Orchids do not usually feature in shows of succulent plants as they have their own specialist orchid societies. 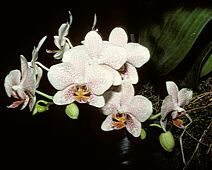 However, many species, especially epiphytic orchids, have adopted the succulent lifestyle with fleshy pseudobulbs, stems or leaves that store water and food. The succulent pseudobulbs at the base of each leaf store food and water. 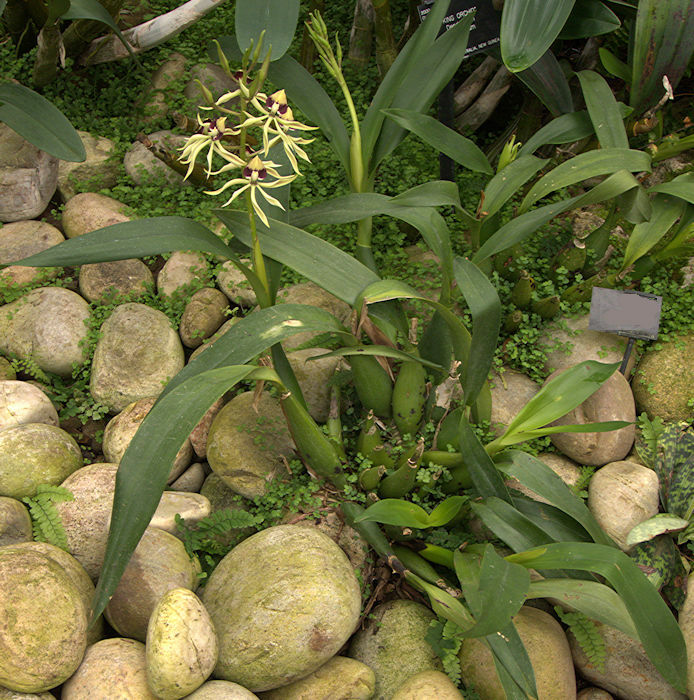 In dry conditions the pseudobulbs shrink significantly, plumping up in response to water. The flowers are fragrant. 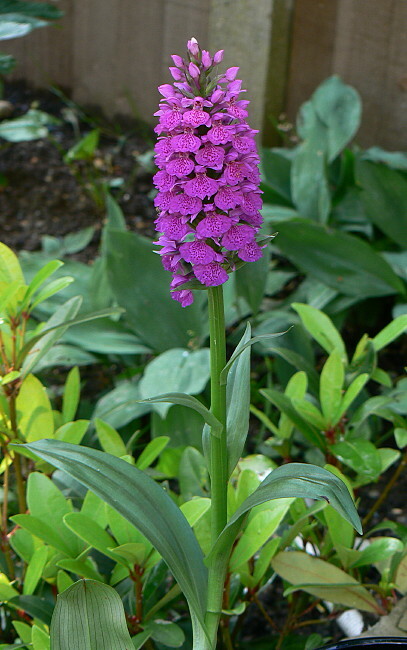 Native to moderately high altitudes up to 8000 ft. of North-Eastern India, Nepal, Tibet and the Eastern Himalayas, so requires cool conditions with a fall in temperature at night. 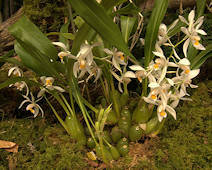 This Coelogyne is quite easy to grow but getting it to flower depends on simulating the natural temperatures of the region from which the particular plant is derived. A good plant for a hanging basket. 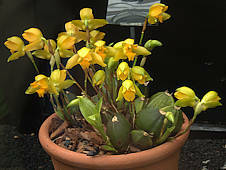 There are many named varieties with more or less yellow in the flower. 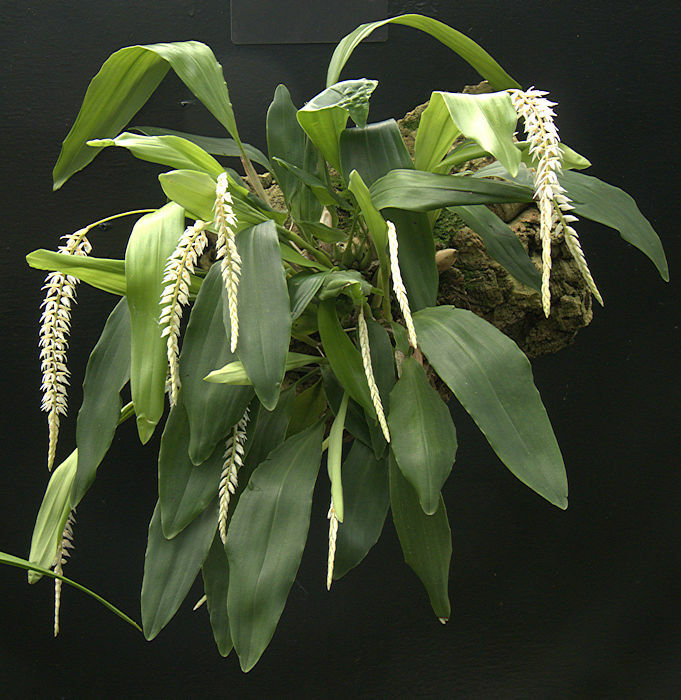 Another Coelogyne with fleshy pseudobulb storage organs. Native to moderately high altitudes up to 8500 ft. of the Indian Himalayas and South-East Asia, so requires cool conditions with a fall in temperature at night. 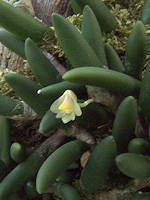 The deciduous leaves of this epiphyte produce a succulent pseudobulb at their base which is retained when the leaf falls. 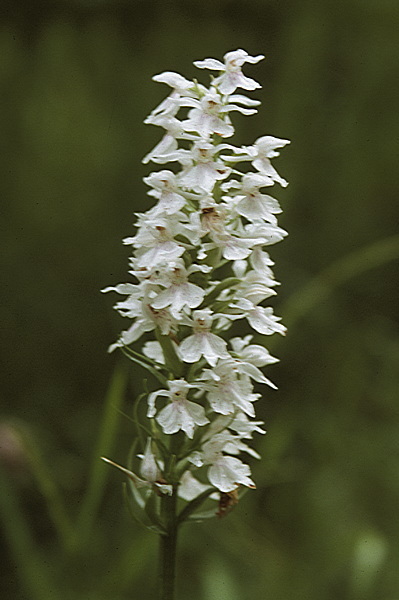 The long feathery spikes of small white flowers produce a delightful perfume of vanillin. 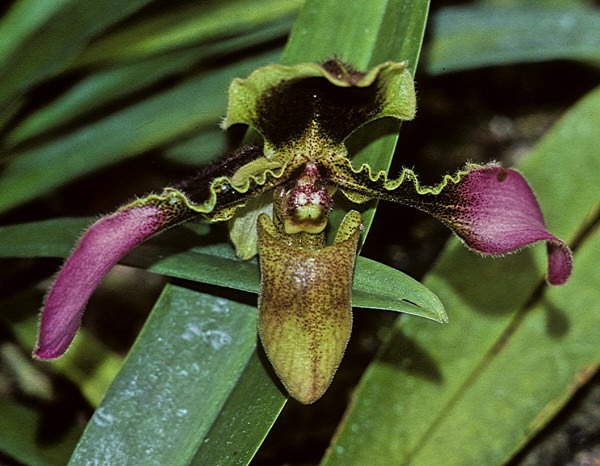 In some forms the flowers have orange lips (labellum). Native to mountains of Borneo and the Phillipines. 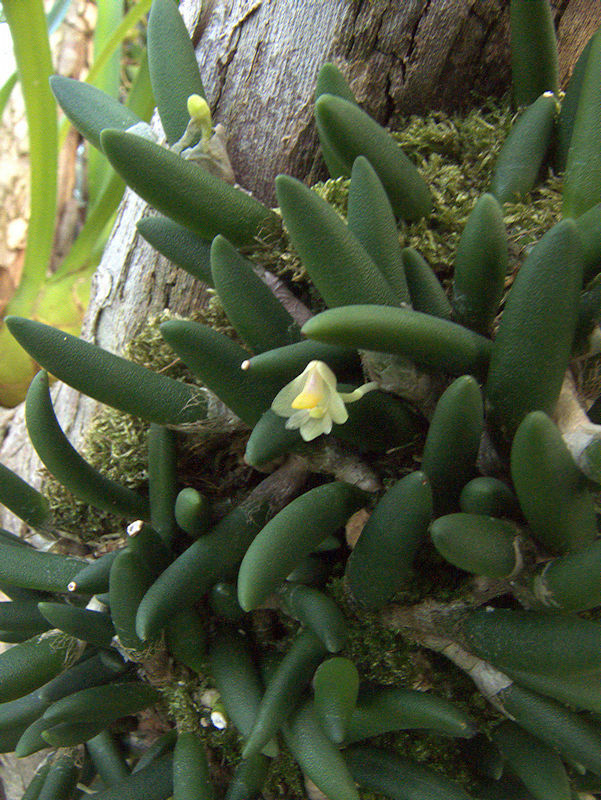 This tiny epiphytic orchid consists of a creeping rhyzome producing clusters of succulent fleshy leaves and forming a mat. The tiny flowers have a musky perfume. 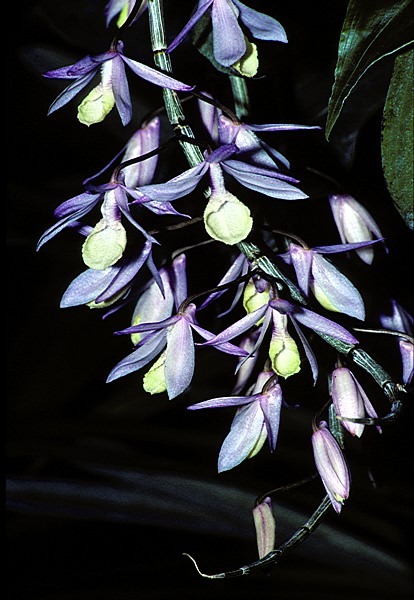 Native to hot, humid rainforests of Queensland, Australia. This epiphyte has succulent pseudobulbs, deciduous lanceolate leaves and spikes of fragrant, bright yellow flowers. 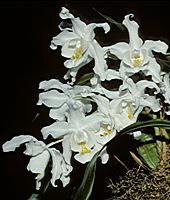 Native to Mesoamerica, especially El Salvador, Guatemala, Honduras, Mexico and Nicaragua. It grows typically on mossy branches and limestone cliffs. 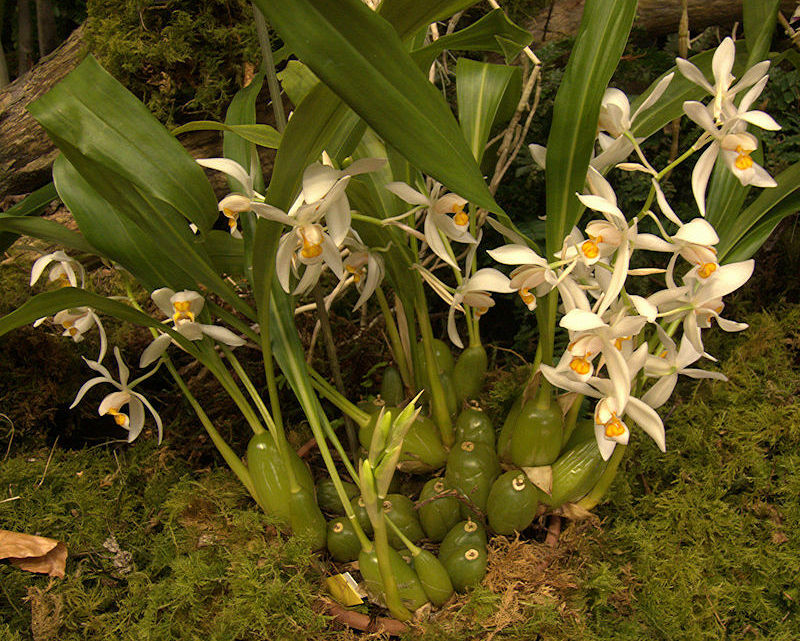 The fleshy pseudobulbs at the base of the non-succulent leaves act as storage organs for food and water. 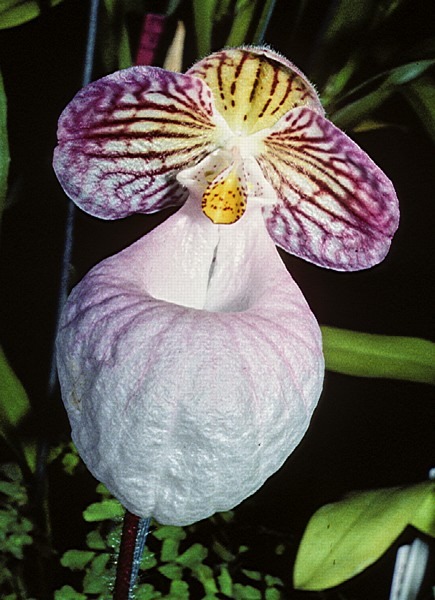 Native to tropical rainforest of Belize where it is the National Flower. Name: Spanish vainilla = "little sheath" referring to the bean's pod. 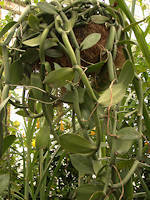 This climbing orchid has succulent fleshy stems extending to 30ft and bearing thickened leaves. Roots are formed at stem joints, rooting where it finds suitable substrates as it scrambles through trees. 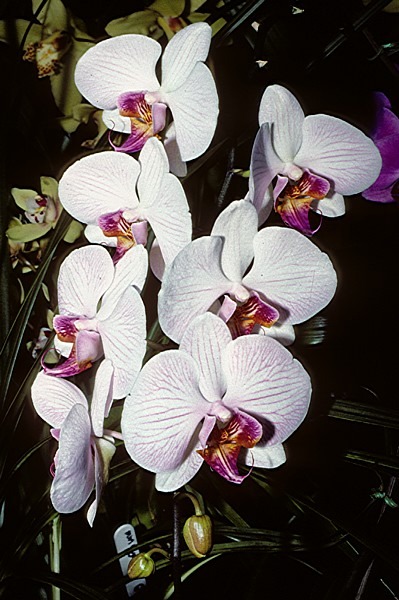 Native to tropical Africa, including Angola Kenya, Uganda, Congo, Zambia, and Zimbabwe.